I never wanted to get married at a young age. I was clear from an early age that I wanted to have my own career and develop as a person before I got married and had kids. I achieved that goal with a wonderful career in retail and shoe wholesale before opening my yoga studio in 1998 at the age of 30. It was lonely at times watching all my friends get married, but I also loved my independence and the ease of caring, cooking, cleaning and scheduling for only one person. A few years after I opened my studio, I became clear about the type of man I wanted to marry. I was sick of wasting time with men who did not want what I wanted. Once I said out loud clearly to the universe what I wanted in a man, Sean appeared at the farmer’s market days later. (Really, it was days.) I met my wonderful husband when I was 33 and married him at 35. It took some time adjusting to being with such a loving and thoughtful man. From the time we started dating, we both knew this was the real deal. We became such great friends as well as lovers, but it took time getting used to a man that thought of what I might need before his needs. I don’t like to think of myself as a selfish person, but it was an adjustment realizing this is what true love is, and to improve my side of the relationship by thinking of the needs, feelings and sensitivities of this amazing person. Sean is incredibly thoughtful and sweet, and it pushed me to new levels of patience to not take out my bad moods or impatience out on a man who did not deserve any kind of bad treatment. Our relationship pushed me to grow as a person and I am very grateful to him for that. We also learned each other’s triggers, and out of respect for our relationship, we avoid pushing those buttons. I am also very sensitive to some things that mean so much to my husband. 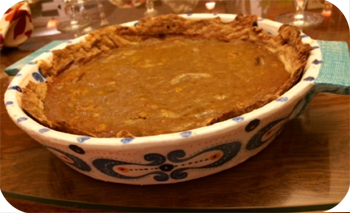 Besides remembering to communicate important events in our kids or friends life that I sometimes forget (nothing annoys him more) I find it is very good for my marriage when I cook pumpkin pie at Thanksgiving. I started baking when we were first together and he thinks I am amazing when I make crust and pie from scratch. I have had some challenges with my crust the last few years, but it means so much to him when I make my pie that I don’t give into my mom’s pleas to buy one from Costco. I think I still have some work to do to make my pie better, but he thinks it is awesome. (and so do my kids) It’s a small sacrifice to make when it is so appreciated by my family. I learned to follow through on my communication. If I tell my husband I am coming home for dinner at 7 pm after a day out with friends, don’t blow it and come home at 9. (I did that once, not realizing it was my 1 year dating anniversary and he had planned a romantic dinner that I missed!) 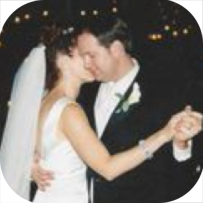 We both learned over time how important it is to communicate our needs and to give each other space for our careers, time with friends, kids and planning and nurturing our relationship with time together. We both make date nights a priority so we can reconnect, hold hands and remember how much we enjoy each other’s company. This communication in our early relationship built a foundation for our communication once kids came. The balancing act only got trickier when we added kids to the equation and many of our individual needs became less important, but still needed attention. We have been conscious since the kids were babies to support each other through all the many challenges of parenting. It is a priority that we both get to do yoga or workout as staying fit is important to both of us, but we want one parent at home with the kids. We both agree that we are happier and more giving people when we give each other this time to stay healthy and fit while setting an example to our kids that fitness and health are a priority in our family. I find this stage of my life both amazing and challenging. All the work I did in my 20s and 30s, both professionally and personally are really paying off. But finding a balance between work, time with the kids, time with my husband, carpooling and errands and housework is endlessly exhausting and challenging. It just never ends and I think many folks with families will agree. But this is the challenge I relish and actually love. I feel so lucky to have a loving and supportive husband. I also still passionately love my business and career after 19 years of yoga practice and 17 years of teaching. I love nurturing and supporting my 2 beautiful and healthy daughters who are unique and individual and trying to find their way in the world. I enjoy watching them grow into what I hope will one day be capable and strong fulfilled women. As most parents will tell you if you asked them about how the balance between effort and ease is going in their family life, I think many would tell you there is way more effort than ease. So finding this balance can be tricky, but finding time for the ease is critical. One thing that helps me find ease is making time to do yoga and go to the gym, an occasional day to myself, which I often take around my birthday, can feed my soul for months. I usually drive into LA, have coffee or breakfast at a restaurant I always wanted to try or a favorite spot, try a new yoga studio or class, and shop just for the fun of it. This year I ended and had a small dinner and glass of wine and raw oyster at a cute little café. Whatever feeds you, make sure you find a way to balance all the effort you put into your days with the ease that can reduce your stress. Give yourself a chance to get back to knowing the one person in your life you need to stay connected with, yourself. In turn you will be able to give more fully and deeply. Find what feeds you and make a little room for ease.